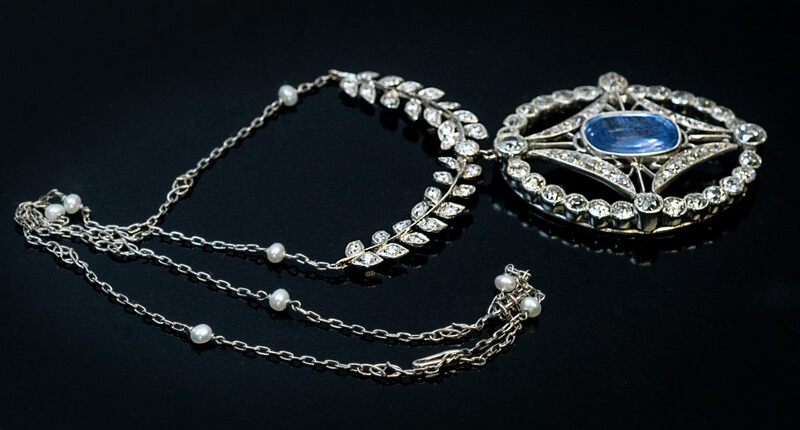 This platinum necklace consists of an oval openwork pendant, a chain with pearls, and a diamond garland. 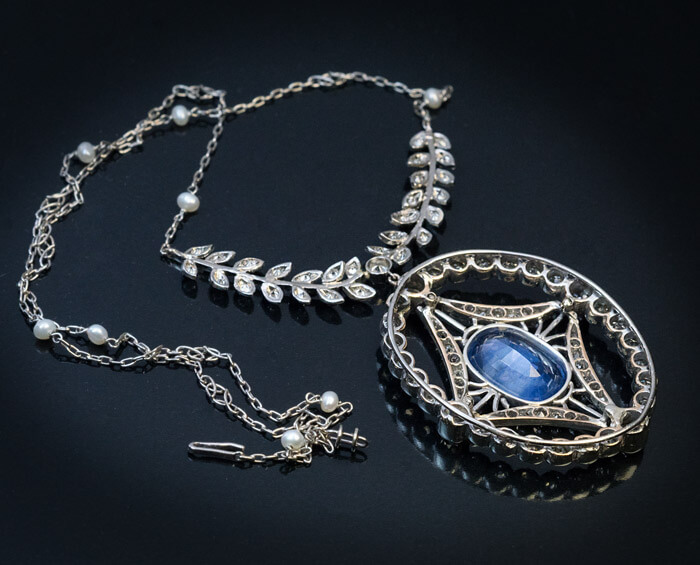 The pendant is circa 1910. 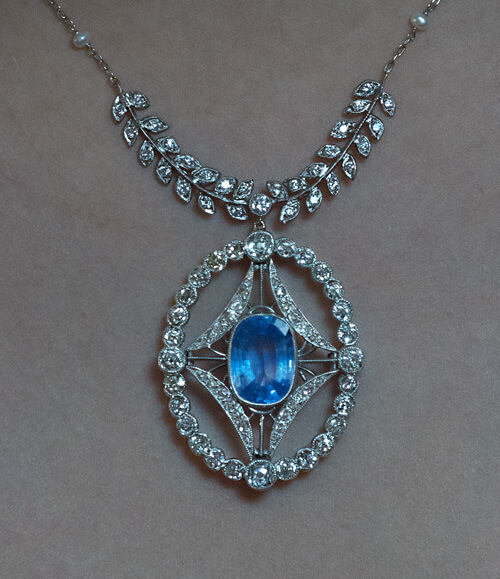 It is handcrafted in platinum topped gold and centered with a sky blue Ceylon sapphire. 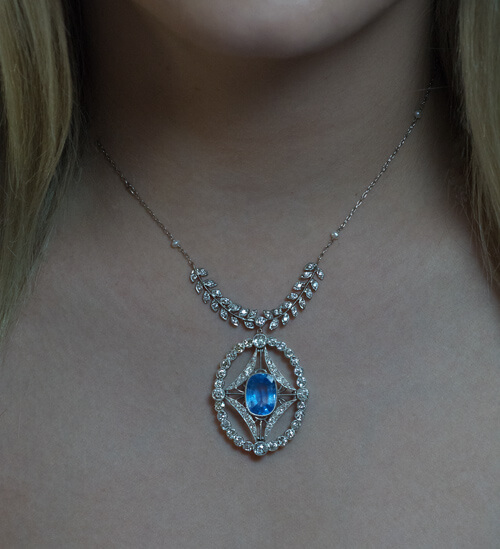 The sapphire is surrounded by chunky old mine cut diamonds. The garland and chain are circa 1930 additions. 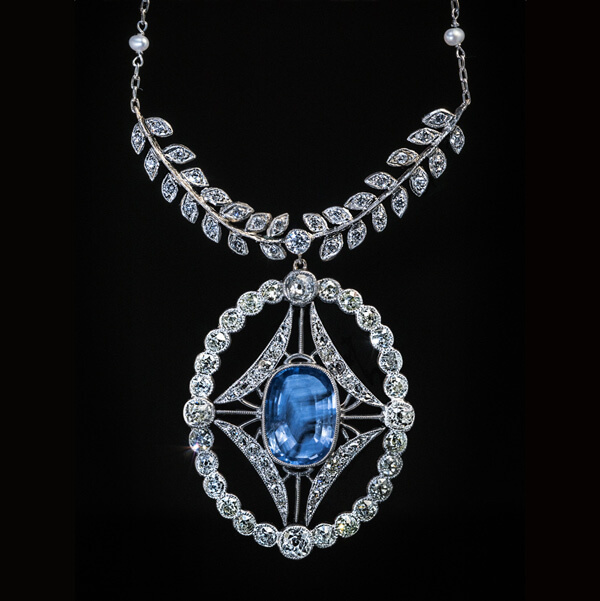 The oval sapphire measures 13 x 9.5 x 4.57 mm and is approximately 4.52 ct. Estimated total diamond weight is 4.12 ct. The pendant is 37 mm (1 1/2 in.) long and 30 mm (1 3/16 in.) wide. The chain is 35 cm (14 in.) long.